Happiest of Fridays to you! The sun was out today and I can't tell you how much better I feel when there is even the smallest speckle of sun in the sky! I wish I could impress upon you how very very grey it gets here in the Pacific NW, especially in the winter months ~ it really is like a miracle when the sun makes an appearance. See all these little treats? They are various Japanese cookies that my friends brought over for my birthday ~ I am so enthralled with the darling packaging that I don't want to eat them. 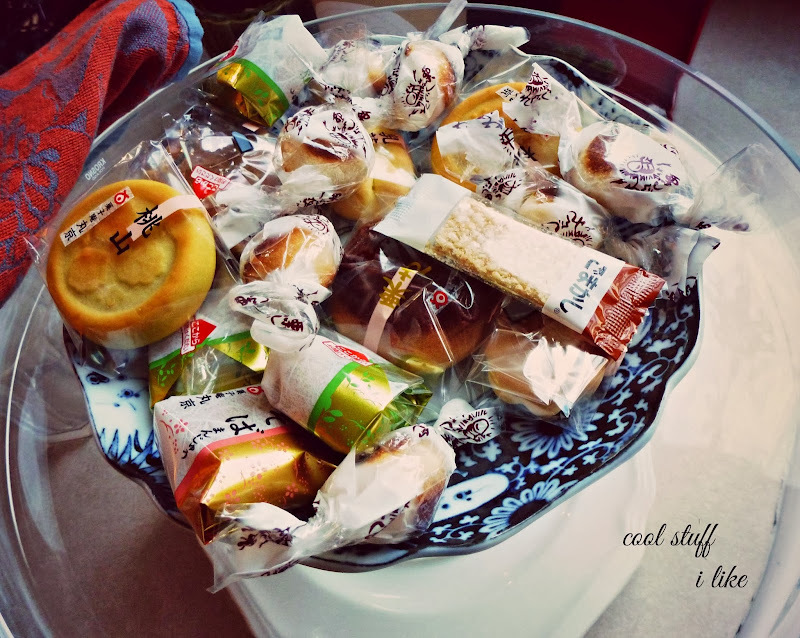 Some are green tea flavored, some are almond-y, and some have sweetened red bean paste. They are super delightful! I love them! Getting Julia a Harry Potter poster for her birthday next month! The importance of children's art in the home. This heart garland looks like candy. This year's spring stick tree is going to look like this! REALLY cute heart patched, dotted zip sweatshirt. If it were half the price I'd buy it in a hot minute. Cool Book of the Week: 'Mr. 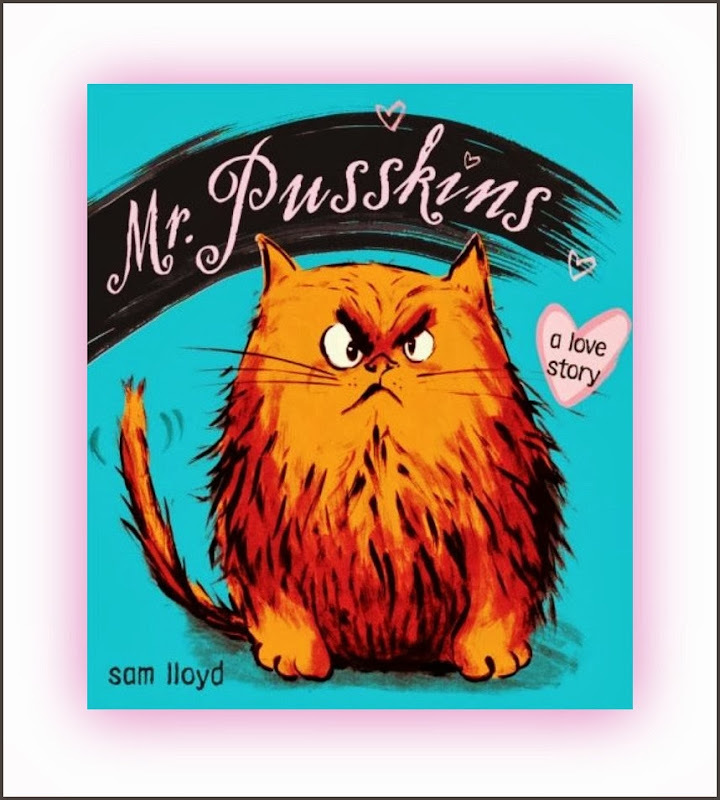 Pusskins: A Love Story' by Sam Lloyd seems JUST RIGHT for Valentine's Day. Mais oui?? Just look at the face. At first Mr. Pusskins doesn't appreciate the doting attentions of his owner, but after a cold and lonely night out on the town, he realizes life is better in a warm place with someone to snuggle. JUST LOOK AT HIS FACE. I'll admit, I found this book after I was looking up another book about a farting dog, which also looks REALLY PROMISING, but I thought this looked like more appropriate Valentine's Day fare. Have a lovely weekend! I feel like I really want to Valentines it up this year. I mean, we kind of do every year, but this year I want more more more. More chocolate, more hearts. MORE PINK. I love all of those photos of kid-art displayed in family homes. I need to be better about that! kid art makes me so happy. I have some stuff i've been meaning to frame for 2 yrs! I assumed the farting dog book would be Walter the Farting Dog, but no, there's another farting dog book! I wonder if there are any others... I love the faux cherry blossoms. I need to frame some of the girls' art. Right now, it covers the fridge and is tacked up with tape on various walls in the dining area and playroom. 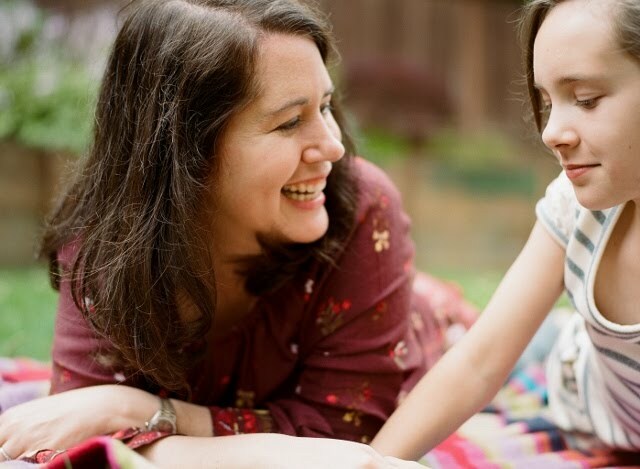 The mother-kid sleepover idea would be awesome, but not during the winter when I know my dried-out sinuses get to me. Self-conscious much? Me? Um, yup. The pixie dust light idea is awesome! Mr. Pusskins does look adorable. Have a beautiful weekend! I love the cozy rooms post. Rachel is into boho? I like her even more now. I want hearts on my sleeves too. Mr. PUSSKINS! Have to read this! And Japanese treats--yay!! !